Key Difference: Primer is the first step that needs to be followed when creating a makeup base, followed by application of Foundation. On a clean face after you have applied your moisturiser and intend to create a flawless and smooth look using a foundation, don’t forget your primer. Primer helps the foundation last longer and helps to conceal freckles and spots on your face. Primer is a product that many of us skip and never give a second thought on while applying our makeup. But never realise how much a difference it can make. Primer acts like a thin layer of base coat making your foundation stay longer and provide a better grip of makeup to your skin. It also provides you a crease-free look and ensures even application. Primary majorly fills up your wrinkles and bumps giving a smoother surface for foundation to be applied. Primers are normally transparent but tinted ones are used for colour-correctness and hiding redness. Peach and Green among many other shades are commonly used for colour- correctness. Primer works not only for your face but also when applying eye shadow or eye liner. Eyelid primers are separately available for suiting your eye makeup needs. 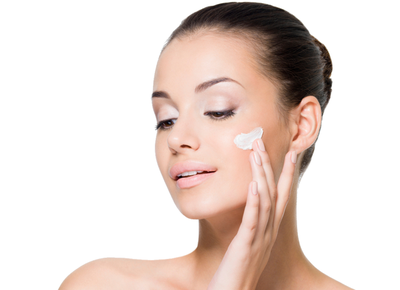 Primers are available in various consistencies and concerns. Gel, cream, and powder form primers are most common types available in the market. From pore minimising to giving you a mattifying effect, you will find them for different kinds of concerns. Foundation is the second step in creating the makeup base, also meaning the bottom layer over your skin on which other makeup is applied. Foundation is a skin coloured cosmetic used mainly to give you an even skin tone and enhance your natural skin colour. Commonly used in a colour similar to your own it makes your face seem more 'smooth' or 'perfected' making it seem a little 'better'. The cosmetic market today offers you foundations for different skin tones and types. Where water based as well as powdery foundation is suitable for oily skin, oil based or creamy foundation works for a person with dry skin. Other than skin type each skin tone has its own foundation shade as well. There are three types of tones warm, neutral and cool. Talking about coverage, full to medium coverage foundation works for uneven and blemished skin. But in case of a person with even skin and less blemishes, medium to low coverage foundation is sufficient for the purpose. Primer is the first base of a makeup. Foundation is applied on the primer. Used for keeping the makeup intact for long hours and covering up flecks and blemishes. Used for giving your face an even and smooth skin tone. Full coverage, medium coverage and low coverage. Oil control, hydrating, mousse etc. Can be used by person of any skin tone and type. Different types of foundation for different skin tone and type. Is not a must have product for your makeup. But having it will always be beneficial. Foundation is a must for your makeup and cannot be skipped.